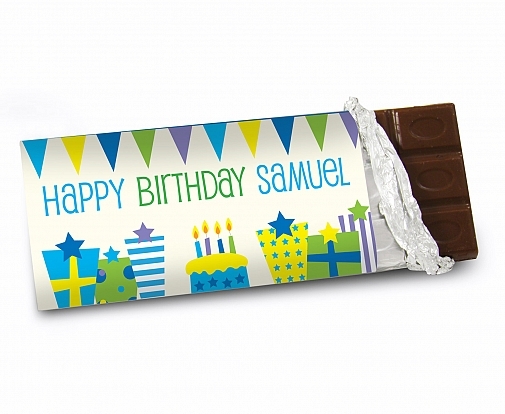 This fantastic Chocolates bar makes the perfect gift for any birthday boy you may know. On the front the words ""Happy Birthday"" are standard followed by any name of your choice. You can also personalise the back of this Chocolates bar with any message of your choice over 2 lines, 30 characters on each line.Milk Chocolates Bar15cm x 7cm x 1cmWeight 100gMay contain traces of nutsOur great value Chocolates includes free standard delivery.